The Comfort Scrape HD Linkable Mat is specifically designed to fit unique floor plans and larger areas where rolled goods just won't do. 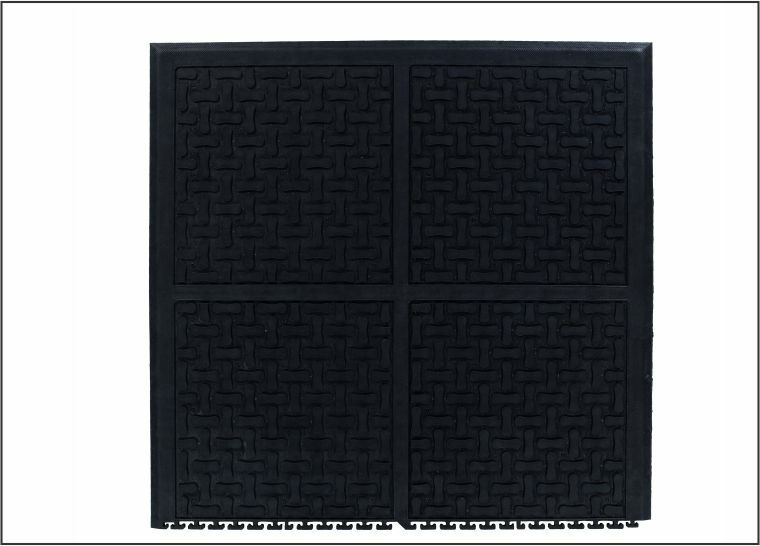 These mats come in 36" x 39" linkable sections for creating continuous runners which can be easily removed for cleaning. 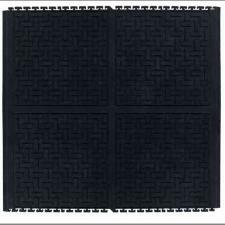 Due to the patented nitrile foam rubber construction, this mat is resistant to all types of oils and chemicals while being one of the softest and most comfortable anti-fatigue mats on the market. This product comes in solid tiles or solid tiles with Grit Top, and beveled ramps are attached to eliminate trips and falls. 100% high-density, closed cell nitirile cushion provides excellent anti-fatigue properties. Anti-microbial treatment lasts for the life of the mat. Beveled safety ramps for safe transition from edges of installation. 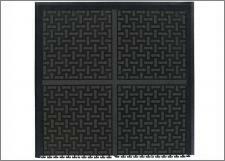 These grease proof tiles are available with Grit Top surface for added traction. Recommended for use in food processing areas, wet or dry work stations and manufacturing facilities.